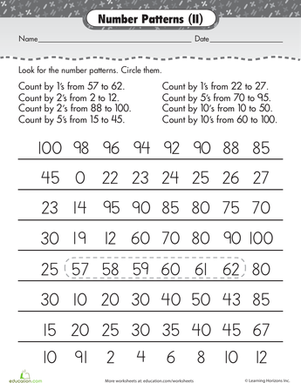 Whether your child celebrates the 100th Day of School or is just beginning to work with 3-digit numbers, this worksheet's an easy introduction to the number 100. 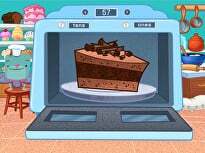 Help your child compare and contrast large quantities, and get her thinking about weight and volume. 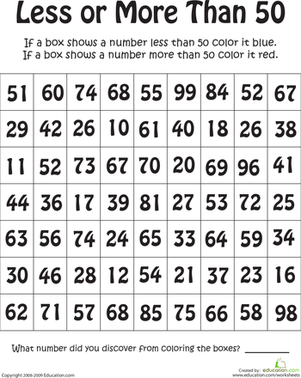 Give your kid a real challenge with this number chart that counts to 100! 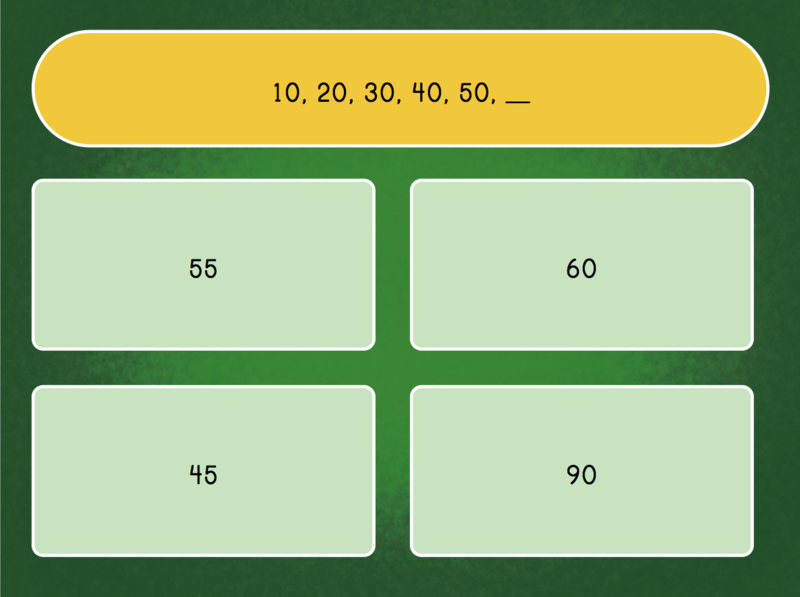 Assess your students’ understanding of numbers to 100 using this quick number writing activity. 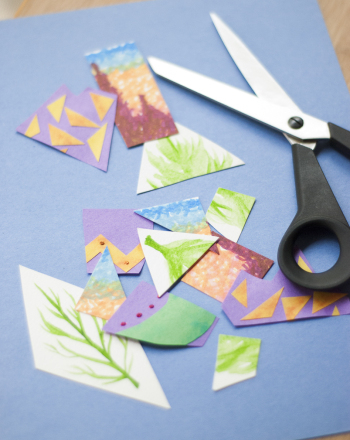 Celebrate 100 fantastic days of school by creating a school-themed collage with 100 pieces in this unique arts and crafts activity. Work your way across the tennis court to count from 50 to 100. 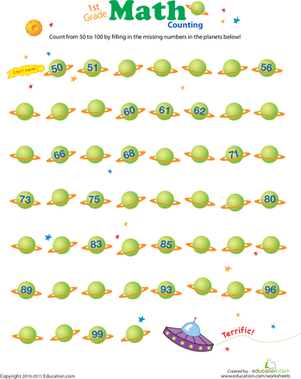 This space-themed printable encourages practise with the numbers from 50 to 100. Help your child practise his maths skills with this printable worksheet, which will help him count up to 100. Help your first grader build her number sense with this worksheet featuring number patterns by 2, 5, and 10. This number challenge will help reinforce number sense in kids who've mastered their counting. 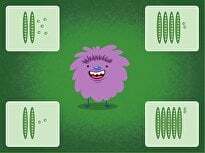 Sharpen your first grader's number sense with an exercise in recognizing number patterns. Practise problem solving and number sense by figuring out the next number in the pattern! 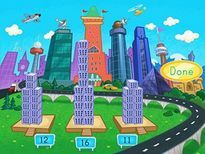 Build your child's number sense, with an undersea number adventure! 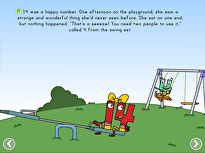 She'll navigate through coral reefs as she puts numbers in the right order.